Motherhood hasn’t come at all easy for Molly Anderson. But she’s finally enjoying life as mother to five-year-old Ella and as Arts reporter for the small but respectable Ridgedale Reader. That is, until a body is found in the woods adjacent to Ridgedale University’s ivy-covered campus. 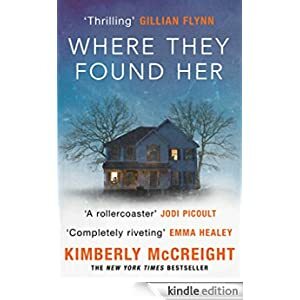 This is a discovery that threatens to unearth secrets long buried by the town’s most powerful residents, and brings Molly to two women who are far more deeply connected than they have ever realised. Buy this riveting crime thriller for only 99p today.